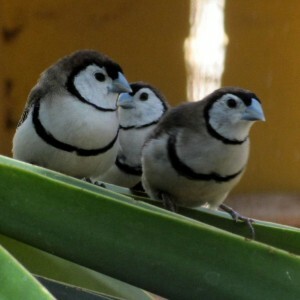 The owl finch, also known as the double-barred or Bicheno finch, is characterized by a dark patch around their face. 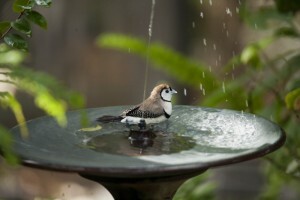 It gives them a barn owl like appearance, gaining them the name ‘owl’ finch. 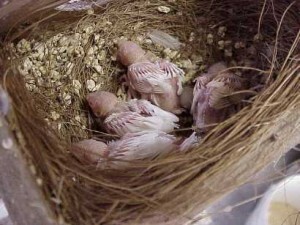 The males and females of the species looks almost the same, whereas the young ones have a more brownish appearance. 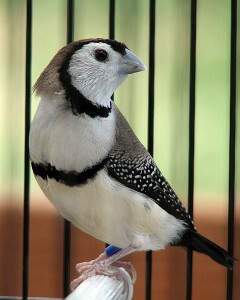 Being friendly and gregarious, they are a good pet choice, especially for first-time bird owners. 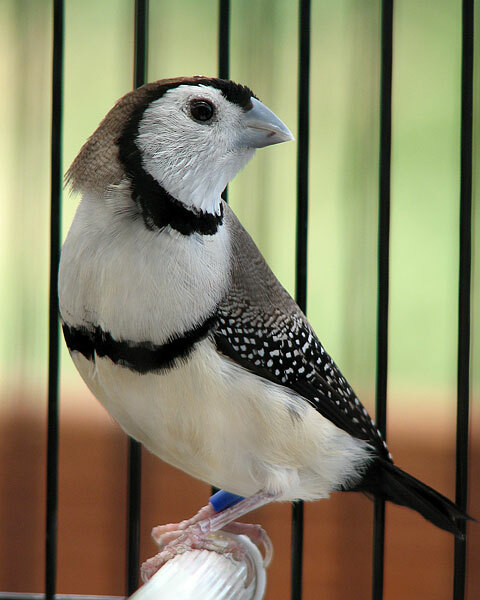 These active finches are to be kept in spacious cages or large planted aviaries. Soft wood or branches form a good perch option. 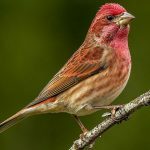 As they love building their own nests, a half-opened nest box or wicker nest basket should be placed in the cage, along with some coconut fiber and dry grass for nesting material. Paper substrates should be placed at the bottom of the cage and changed on a daily basis. As they cannot bear excessive heat or cold, a cool, shady place is well suited for them. 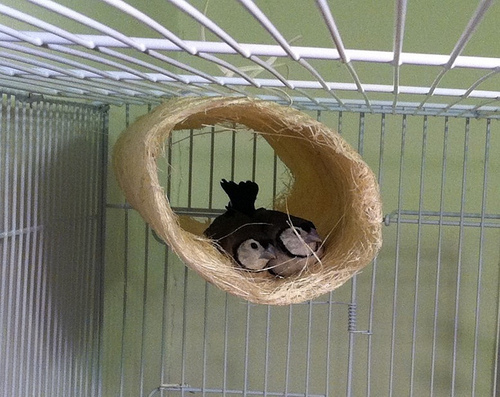 When kept indoors, a temperature of more than 65°F is essential for them. During the cold winter months they are to be kept in a heated shelter. 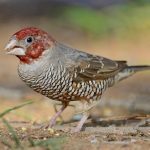 These sociable, friendly, energetic finches are swift climbers, flying around freely when kept in large cages, whereas small enclosures make them panic. Being curious in nature they go forward to check any new addition to their dwellings. They do well with other species, having a similar temperament and size as theirs; however, they dislike being crowded. The male finches become aggressive with one another in the female’s presence during breeding. They should be provided with a mixed diet of soaked or sprouted seeds, spray millet, carrot tops, broccoli tops, chickweed, spinach, lettuce, egg food, cuttlebone, and grit. 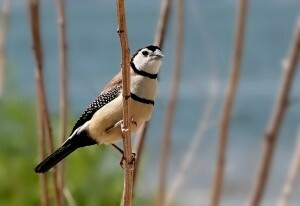 The birds are also fond of small mealworms. Fresh, clean water is to be kept at the foot of the cage. 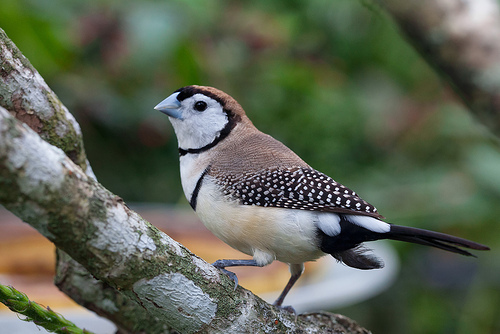 Like all other finches, they too may suffer from air-sac mite, scaly face, and egg-binding. Overgrown beaks and nails is another common condition that needs to be addressed by a vet or professional groomer. 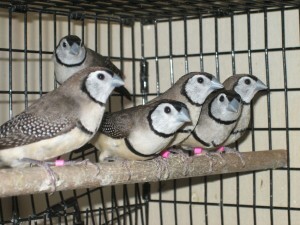 The price for an owl finch is around $100. The finches were named ‘Bicheno’ after James Ebenezer Bicheno, the colonial secretary of Van Diemen’s Land. 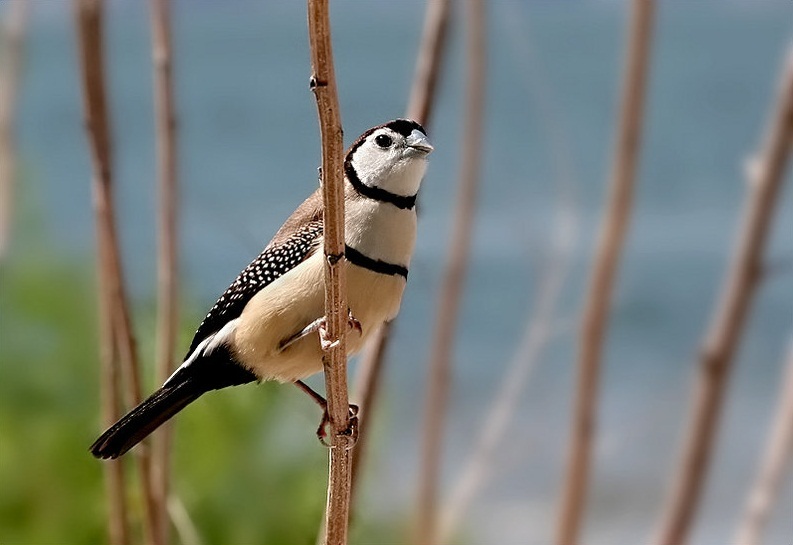 The only way to determine the monomorphic species is through their song, which is only seen in the males. 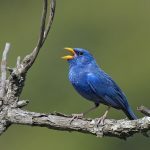 Both genders exhibit an amusing meowing call similar to a cat. 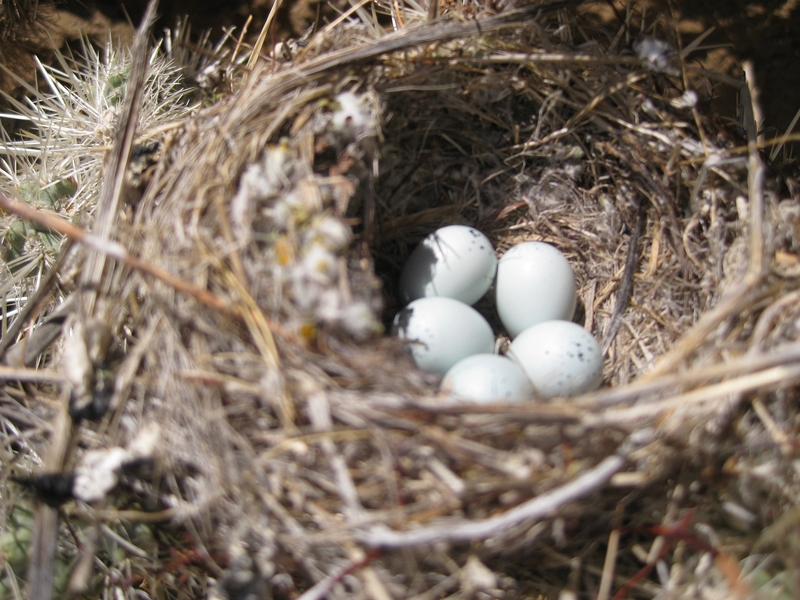 Though the birds generally make good parents, they are sometimes known to throw baby birds out of the nest. 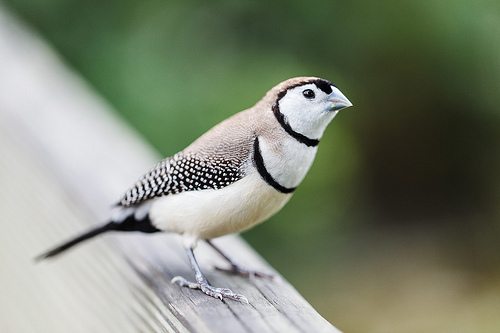 9 Responses to "Owl Finch"
Hello! My name is Valentin Greig and I live in Crete,IL. 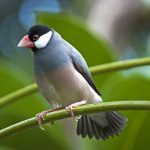 I have read your blog post about Owl Finch | Singing Wings Aviary and I want to say that I am quite impressed with your professionalism on the subject! Thank you for your information, The Owl finch is a beutiful bird.